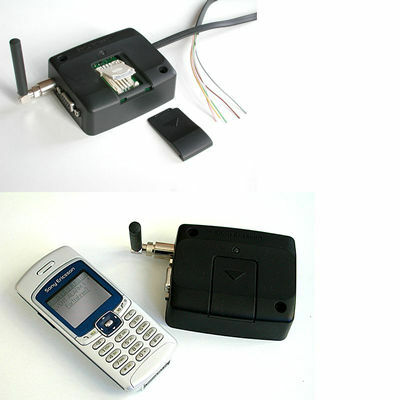 Many successful projects demonstrate M2M from Sony Ericson know-how in the area of GSM Telemetry. For our customers we developed versatile telemetry platforms as well as customer specific applications to meet their needs for remote control and measuring fast and cost-effective. In the easiest case our telemetry unit sends SMS messages to your cellular phone, so there is no need for further hard- and software; for more complex solutions data processing and presentation can be managed by an internet server providing a graphical user interface via your web browser. Proteced by an individual password you can have access to your data and send control comands from any PC without installing specific software on that PC. Configuration of the Hours counter : sent SMS: 0000,PBW=4:1000:+50 phonebookwrite location 4 number 1000 +50 means it will repeat sending an sms after 1000,1050 Hours etc. Configuration of the Timeswitch :sent SMS: 0000,ALARM1=09:00:0n/67;18:00:off This will automatic switch Relais R1 on if time is 09:00 (/67 means only for day 6 and 7) and relais R1 off if time is 18:00 .
for more control commands as Counter Inputs ,ADC Inputs etc. read the programming manual . more reference projects please click SonyEricson here. Technial documentation can be retrieved at our sales partner's site, dwrd, follow the link "SC47". If you have specific requirements which exceeds our standard features, we would be more than happy to develop the adaptations and additional functions for you based on the two platforms described above. These adaptions can be carried out in software and/or in hardware, depending on your needs. Typical examples are the implementation of additional serial interfaces for e.g. connecting a barcode scanner or bluetooth interface, remote access to a data logger, implementation of customer specific data transfer protocols (also via GPRS-Internet-TCP/IP) or adding special positioning retrieval and supervision functions. 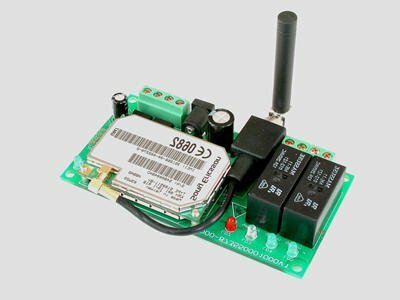 If you have requirements that deviate significantly from our existing platforms, we develop your specific telemetry device for you according to your specification. For more reference projects please click SonyEricson here. Copyright © SonyEricson Software License to © www.dwrd.nl de Weerd info@dwrd.nl the Netherlands.